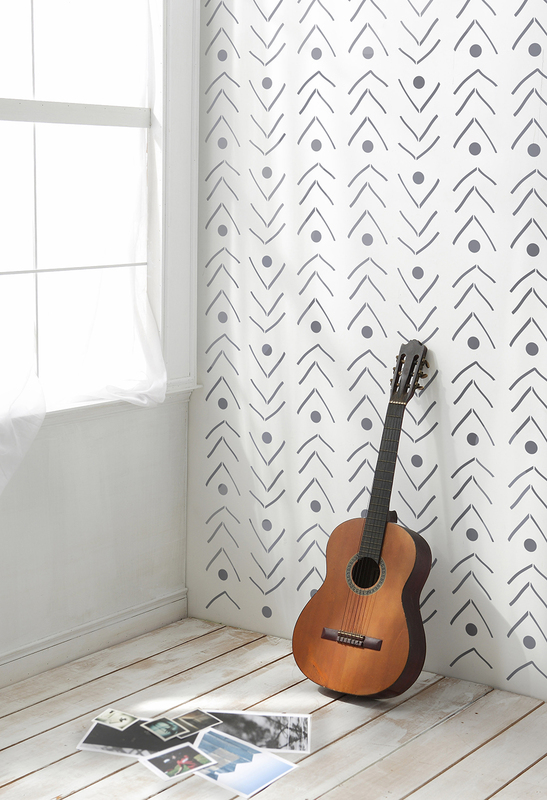 If you fancy some pattern on your walls, but find wallpaper expensive and/or daunting to put up, then what about decorating using a stencil? Stencil designs have moved on a lot in recent years and I was particularly excited to discover StenCilit on Etsy. Their designs are fresh and modern and inspired by Scandinavia. 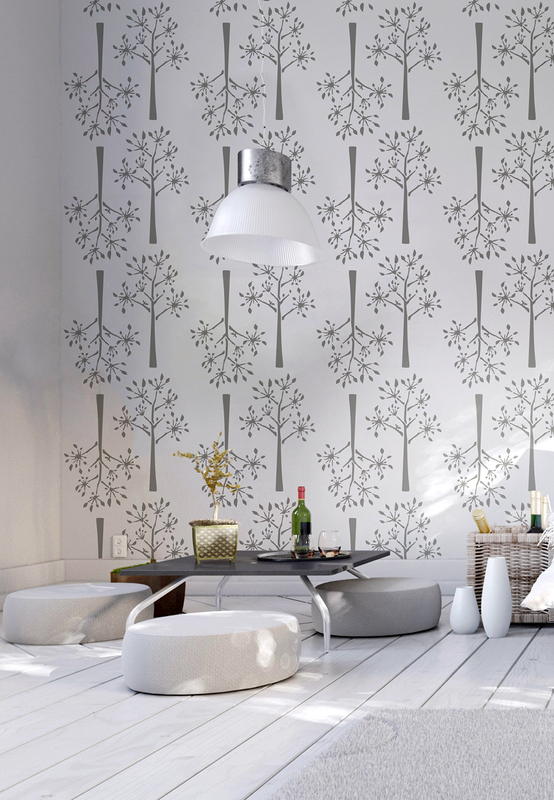 StenCilit is based in Estonia, and designer Merili Sulg has a background in screen printing and wallpaper design. There are nearly 50 different designs in her Etsy store, so lots to choose from, and of course it is up to you what paint colour to use and also how to utilise the stencil. It could be to completely cover an entire wall or just as a small detail. You could even use the stencil on the floor or on fabric, so it's a really versatile product that will only set you back between £25-30! The image below shows the Siberian Taiga design (my personal favourite!) in situ in Justine Hand's child's room. 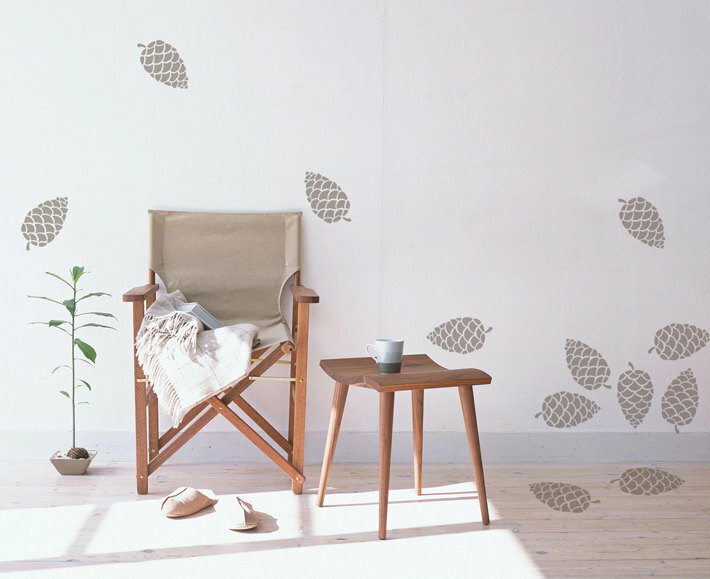 You can also follow her 'how-to' of using the stencil over on Remodelista which is very handy. I'm excited to share that StenCilit have offered for one lucky Patchwork Harmony reader to win a stencil of their choice - hurrah! All you have to do to enter is visit the StenCilit Etsy shop, and choose your favourite design. Let me know which one you love as well as how and where you might use it via a comment on this post. I will then choose my favourite reply after the closing date which is the 10th April 2015. - Please make sure to leave a contact email address with your comment so you can be informed if you win. - If the winner does not respond within 14 days with their postal address details, I will select another winner. - The competition is open to readers worldwide. - Only comments posted before 11:59pm on the 10th April 2015 will be valid. My decision on the winning comment is final. Here are a few more of my favourite designs to whet your appetite! I can't wait to try one of these out myself. I'm thinking perhaps on a set of plain curtains! Good luck everyone!